Located in the most exclusive beach complex on the Pacific Coast of the Mexican Riviera. This Punta Ixtapa vacation rental is a luxury 3 bedroom condo in one level, with private plunge pool on the terrace overlooking the beach. Both the Villa and most beach clubs in Punta Ixtapa has Internet wireless connection. Sleeps a total of 7 people. Minimum Rental is 7 days. You will have access to all beach clubs, gym and private beaches in Punta Ixtapa Resort. Your private pool overlooking the Pacific Coast. Rent a large 3 bedroom - 3 1/2 bath. One level condo (3,700 sq. ft.). Terrace with private plunge pool, with a spectacular view of the coast line. 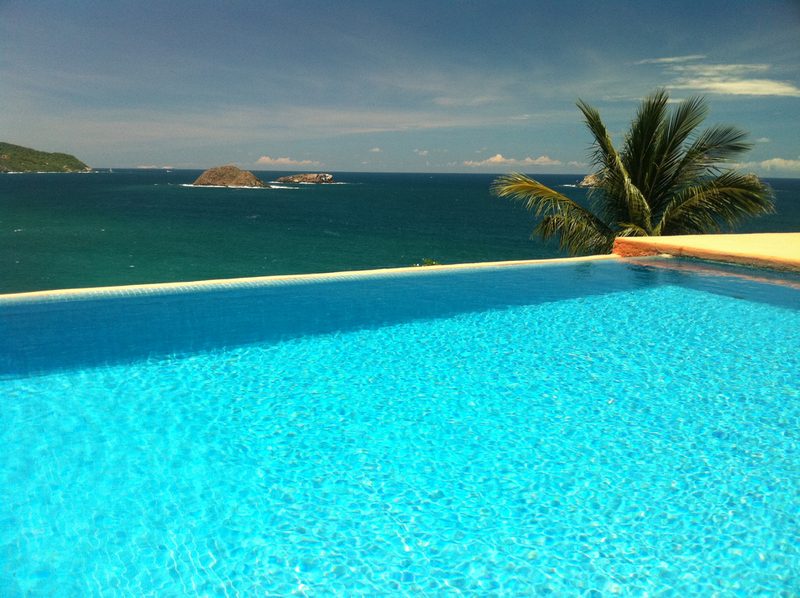 Punta Ixtapa is a private and exclusive deluxe beach complex in Ixtapa. With 6 beautiful private beaches and 2 beach club houses for guests only. 5 min. of Isla Ixtapa. 10 minutes drive of Marina Ixtapa. 20 mins to the center of Zihuatanejo village. 35 mins to the Zihuatanejo International Airport.